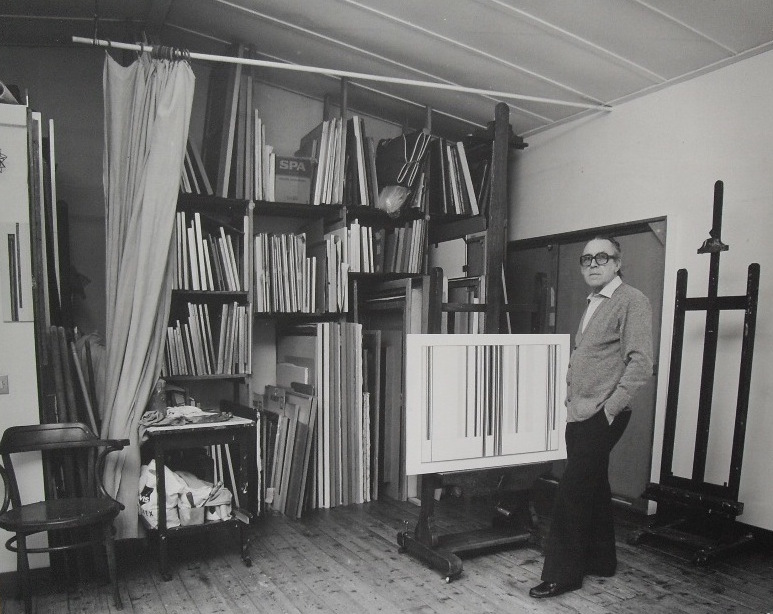 Luc Peire was a Belgian painter in the tradition of geometric abstraction. His work is internationally known. Peire got his education at the Art Academy in Bruges, the HISL in Ghent and the NHISK in Antwerp. His early work was under the influence of Constant Permeke and was figurative. After the Second World War he evolved into a constructive abstract art, in which the vertical line dominated. From 1952 to 1955 he stayed in Belgian Congo. In that period his work evolved towards pure abstraction.